Having an elegant envelope, one that speaks to your class and charm, may have been hard to find â€¦ until now of course. 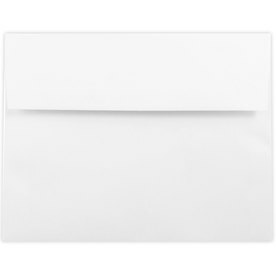 Our 6 1/4 x 8 1/4 Envelopes are sure to speak to your fashionable style and cover up your content beautifully. Being on the larger size, you will have plenty of room to fill the space. Whether it's an invitation, letter, card, or promotional mail, these envelopes will be the perfect choice to send an elegant message. The quality of this 6.25 x 8.25 envelope and the straight flap can do no wrong either, making this seriously the best envelope choice for you. 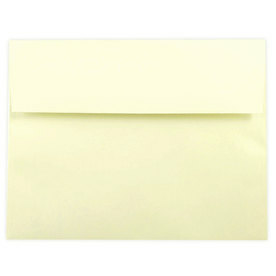 Choose our Ivory 6 1/4 x 8 1/4 Envelopes for a beautiful wedding invitation cover. The smooth and natural color creates class and elegance. Or try our White choice for a bright look! Don't assume that just because of our neutral colors, they won't be noticed! The JAM quality we offer is enough to keep everyone's eyes and hands on the envelope. So start elegantly shopping today.